Finally it is over. My time at the PRU is done, in real terms if not technically….the end date is actually 31.8.16. The past few days have been very uneven, veering from agonisingly slow to breakneck speed in minutes and hours…the final countdown to the last farewells. And that phrase. ‘How does it feel?’ Over and over and my head was whirling with it all until down was up, up was down. Tears pricking at times, laughing and smiling by turns and finding a balance between rushing to get through everything I needed to do and a restless urge to visit every class and see the children one last time. The Y6 leavers’ assembly was a highlight…I always cry and this year was no exception! There was a good turn out of parents (not easy as some have to come a long way and most don’t have transport) and the children were brilliant as usual! Light hearted at the end as Mrs J dug out an old clip of me dancing to a pulsing disco beat chanting ‘MC Ward! All the best tunes from MC Ward!’ and kids of the time groaning and covering their faces!! Three of us have retired this summer….two are going back in a different, part-time capacity….however it is an emotional time, the closing of the book, the final chapter. We had a lovely staff meal out last Wednesday, and there was a real sense of unity….schools can be strange places with disharmony lurking in shadowy corners, but there was none of that….and the sun shone and drinks flowed in the garden. All was well. 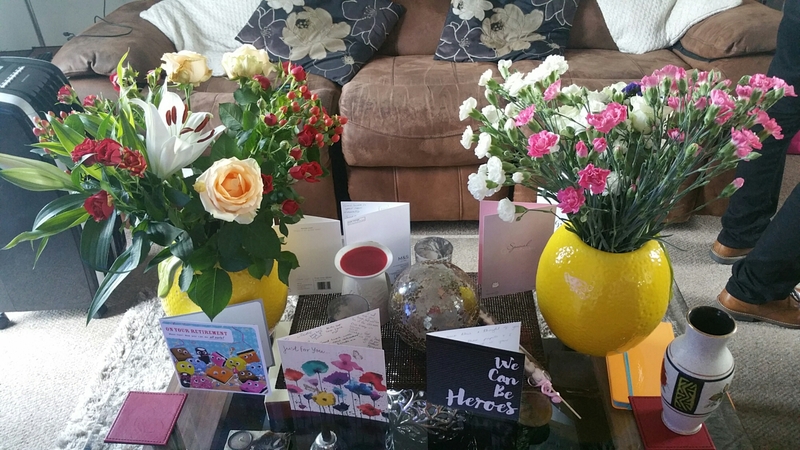 Then came the presents…flowers, sparkling wine, gorgeous jewellery; a mum came bearing beautiful orchids and one of our most vulnerable, challenging little girls brought in an array of special gifts, hand- picked with care for the recipients! Leaving day. Sadly some children awaiting EHCPs still don’t know they are going to another school soon…some may only know in the holiday that they are not coming back! Many of the Y6 were very tearful and tried to stay in their classrooms when the taxis arrived….one boy had to be nearly carried out bless…and one boy, super cool, put his head on our HT’s arm at the door and broke down. Our lovely, difficult, funny, sometimes violent, always heartbreakingly vulnerable children are on the next steps of their personal journeys.I will miss you all! I will miss my fab colleagues too and the PRU….yes there have been crises and problems but these have been outweighed by laughter and camaraderie and a real sense of purpose with our excluded pupils at the heart of everything we do. 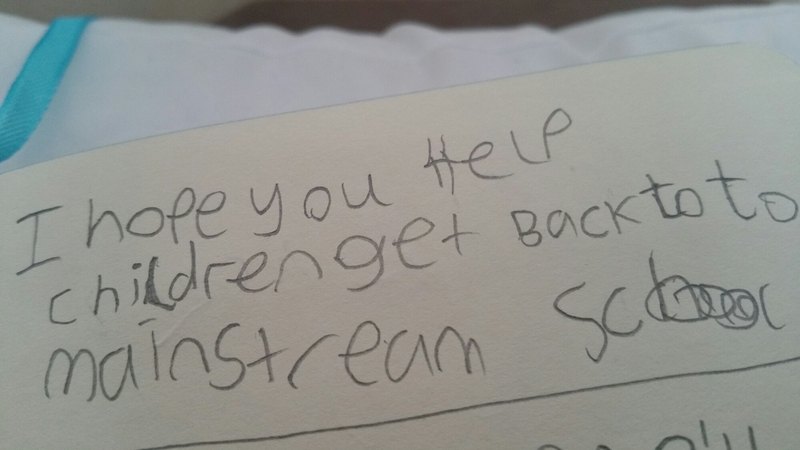 I hope to continue to support challenging children out in mainstream…in my ‘memory book’ was an inspirational message from a child which I will frame by my desk. Here’s to the future! I feel excited, nervous, apprehensive in turn but definitely ready for a new challenge. My working life has been a mixed bag of office , shop, dentist and some wonderful, amazing schools over a mind boggling 43 years with FE and uni and college thrown in! I’ve had a ball and been so lucky, lucky, lucky! But I’m not ready to throw in the towel or give up the ghost just yet….I have always been a grafter and I still feel I’ve a lot to give! This feels like a new beginning and I’ve got such plans! I’ve already had offers of part time SEND work back in mainstream and got some initial work in the PRU (so not quite goodbye); there is a great need out in schools for this type of support so I’m hoping to be very busy! I want to update and up skill. …I want to attend more teach meets to bang the drum for the excluded….I want to write a book, articles, anything! I want to have time for long weekends away with my husband. I want the freedom to organise my time how I choose and go away in term time if I wish! I want to be able to finish at lunchtime on a Friday and enjoy a lazy pub lunch in a nice location. I want to have more time for family and friends…the message in these turbulent times is that life is too short to just rush on heedlessly. …I want time for quiet reflection and contemplation. It does feel strange though to think I will have lost being in the workplace with my routines and my cosy office and the lovely HT, staff and children. So much of our identities are about our jobs and our standing in the world….I am defined by being a deputy head in a PRU….it is meaningful and drives my interactions with agencies, professionals, schools, parents, colleagues and children! Just the small thing of altering my twitter and Facebook profiles is going to be an act of finality…one minute you are in the ‘family’ of teaching, next you are not…and you close the door quietly behind you. I won’t know for sure how I feel until next Friday night but I sense a long and emotional week ahead and I know I will cry!! It is the children really.They are on the fringes and they need people to fight their corner so that their needs are met and they go on to be safe and happy. I feel I have gone into battle and won many a campaign, but sadly the war is being lost as more and more exclusions are coming through…five more in the last week…and we are being overwhelmed with numbers and the chance to do good is sadly slipping away. It maybe that by Christmas even there will be excludees sitting at home on tuition because, yet again, the PRU will be full! It feels grim. And yet I cannot be a one woman crusade forever (although it feels like I need to be) and I have to think of my own health and well being! I also have a poorly husband with a degenerative illness so I need flexibility in my life. However I still hope to carry on my work from within rather than from without! Maybe I can prevent an exclusion or two! Oh the power of positive thinking! 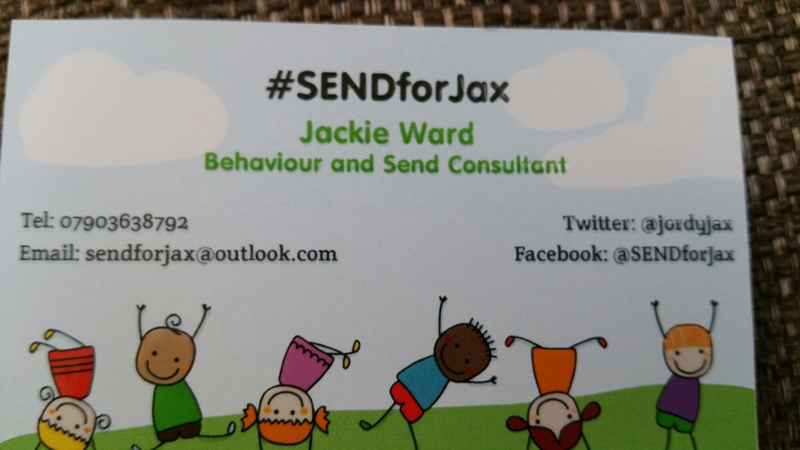 From now on my watchwords are onwards and upwards and I am determined that #SENDforJax will become a byword for my mainstream colleagues. The lovely and very readable @nancygedge posted a blog today about not giving up and not walking away; this was so much in tune with my thoughts over the last 24 hours I felt I had to blog too. 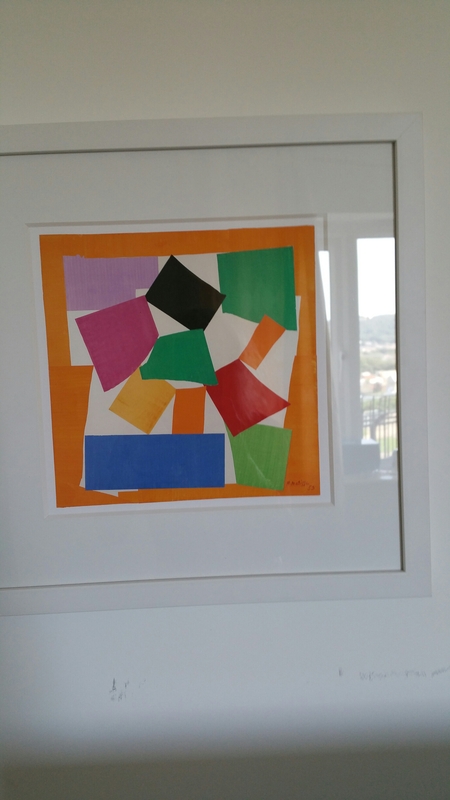 The children in my pru have a lot of obstacles to overcome….home issues, SEN, SEMH, medical issues, combined with poor behaviour and exclusion. Those of you who read my blogs know that they suffer extreme anxiety and become very attached to us whilst seemingly pushing us away with swearing, violence and the destruction of property. These are children who exist in the shadows on the fringes of society but they come to our small nurturing provision and learn to trust and to smile and to succeed. We are the sunlight sending rays into their darkness and they feel safe and valued. Our Year 6 are a particularly vulnerable group; they came to us from their mainstream schools, often after having managed moves which broke down, and always labelled as challenging and out of control. They were angry and sullen and withdrawn; one boy was an elective mute. The shutters were down. Fast forward to happier times and more settled children. It’s not perfect but they are talking and confiding and opening up with their hopes and fears. Above all they are starting to flourish. And now it is transition time and the old anxieties are back and the behaviours are back. And we are trying to do our very best to allay their worries and take them on visits to their new schools and keep them calm. We sat in our staff meeting last night planning lovely end of term events, just like mainstream….Euros, Olympics, football tournaments, barbecues, walks, cinema trips…and our leavers’ assembly.This is very funny and based on ‘I’m a celebrity’ with best moments from school interspersed with eating jellied snakes! It makes us laugh and cry….and their families laugh and cry too. And the staff went home ….and I went on my computer…and found the email!! Now the current situation is that we are full of perm exes but sadly the schools keep on excluding so children are being home tutored. Understandably, parents aren’t happy and there is pressure to find other provision. But we are a small pru. And we can’t take any more kids….The email said we have to send our Y6 back to a new mainstream primary FOR THE LAST HALF TERM before they move to high school . So that we can take in the others. Only one boy has an EHCP so he is safe.. .the others came to us with nothing….no evidence….no graduated response….no EP involvement….nada….zilch. I am doing my best but it is too late….so they are going to mainstream high….I am trying to put in support….but they need to be here with us! And can you imagine being thrust, unwanted, into a new primary at a time when there are post SATS celebrations and trips and leavers’ assemblies WHICH MEAN NOTHING TO YOU….and which you probably won’t get to join because you are angry and scared and you throw a chair and you are 1/1 in a room somewhere with someone who doesn’t know you or care about you? And you are still anxious about transition….and there is no one to turn to…and the shutters come down and you are silent or you erupt in rage and then you sit at home with a tutor. Back in the pru the new kids sit in your places and enjoy your activities but the leavers’ service is cancelled….forever. Now we have been told to follow orders, don’t ask questions but after shedding a few tears we are climbing up the mountain to rescue our kids determined it is NOT happening and today we have hopefully found another way….we WILL succeed and we will bring our kids safely home. We are not giving up and we are not walking away. Hi! 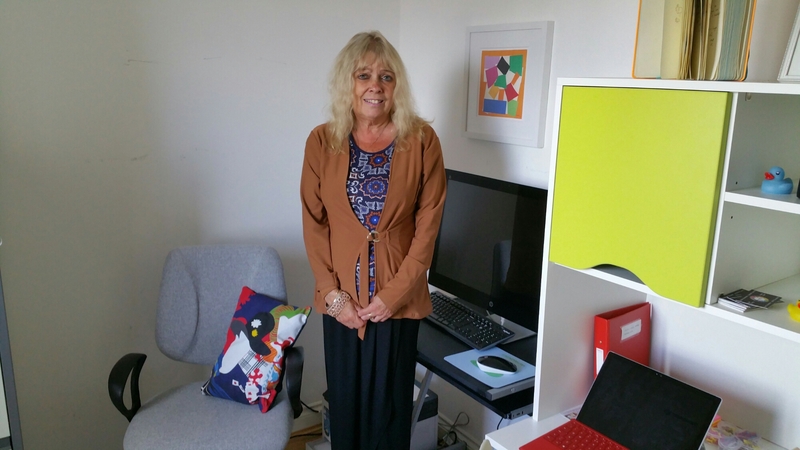 I am Jackie Ward and am Deputy Head at a primary PRU. I am passionate about helping children who struggle with behaviour problems, as many have underlying and undiagnosed SEND needs. I believe that schools try their best to be inclusive but they need help. In my current role I am inundated with requests for strategies, interventions and training ; as practitioners we all want to do the very best we can! In September I am setting up my own Behaviour and SEND consultancy because I want to work with schools more closely to prevent exclusion; this can have an extremely detrimental effect on a young person and blight their future prospects! Together we can make positive changes and we can make a difference! This week’s Secret Teacher highlighted the perceived problems of an MLD special school teacher who argued that children with challenging behaviour should not be sent to his/her school (I think her) because they severely affect the safety and well being of more vulnerable pupils with autism, Downs Syndrome et al. 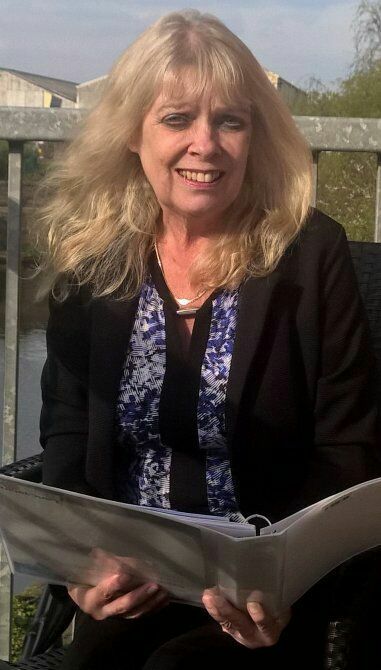 Now on an initial reading I felt some sympathy with her viewpoint and that her setting was not right for children with SEMH….after all we do have specialist SEMH schools (or BESD as they were once known)! I tweeted as much and said it was as a result of cost cutting and money saving resulting in a reduced choice of provision…which it is! Then I read an excellent blog by @nancygedge ‘Clickbait’ which argued that articles like this add to public perceptions that some children are to be feared and some children need to be further segregated for their own safety and the safety of others ( the italics are mine). And this got me thinking. Which children do we *include* in this category? Children with autism, who have sensory issues and often lash out when they are *overloaded*? Children with Downs Syndrome who on occasion display challenging behaviour? Children with medical conditions such as ADHD who struggle with a chemical imbalance? Children with mental health issues? Children with severe Attachment who have often been removed from their parents by Children’s Social Care? Children who have PTSD after witnessing domestic violence in the home? Children who are/have been sexually abused? The list goes on!! And guess what?? Children in most of these categories are sitting in our PRU! Permanently excluded! Now primary practitioners are usually inclusive and caring and many go the extra mile in striving to ensure the needs of their SEN pupils are met and that they get the help they need….but when it comes to challenging pupils the *fear factor* kicks in. Head teachers are under pressure as never before to deliver *results* and children with poor behaviour disrupt this process. Time after time heads come to me and say….we cannot allow this…we have to think of the other children…there is nothing more we can do….we have tried everything….and yet, when the child comes to us, we often find that nothing useful has been done! No paediatric check ups…no graduated response…no Ed Psych referrals….nada…zilch! Oh yes….a chronology of behaviour logs…incident after incident….that’s it!! The Code of Practice was revised to encourage professionals to look for underlying needs rather than dismiss as *behaviour*….hence SEMH not BESD….but the message does not appear to be getting through! On exclusion, bad behaviour is flagged up every time! So why is my pru FULL of SEN??? We have one class where all the children are on the autistic spectrum! How can this be right? Yes their behaviour was difficult but due to unmet needs!! They are certainly not to be feared! I have children who have been diagnosed with ADHD and are now on meds….this could have been sorted in mainstream! Most of our children are going through (thanks to me) EHCP process and will go to specialist provision….and now we come to the tipping point. In my authority we are fortunate to have some SEMH provision so children displaying those difficulties will go to the right place; but this is filling up fast! Some children with EHCP are sitting in a PRU waiting for placement ( not mine thankfully! ) Yes we have schools for MLD and complex needs…but in the main our children do not go to them because they are not the right settings. And parents realise that. They don’t want their children pulling out tubes or turning off machines.They want a school and staff that can cater for their child’s needs. SEMH children need a setting where they can be effectively managed and moved on. MLD schools are not equipped for this. In my local SEMH school some children improve dramatically and return to mainstream. It’s not a case , as Secret Teacher said, that they need locked doors and padded rooms….security systems are in place to keep children safe…most mainstream schools have them! Yes we have calming down rooms and staff trained to handle but these are a prerequisite for managing our kids….every bit as much as wheelchairs and breathing machines for other pupils. The difficulty comes, I feel, not in lumping all SEN children together (although it seems to be happening more and more) but in lumping all behaviourally challenging children together with that unspoken *naughty* or *dangerous* label. I can honestly say I am not afraid of any child in my PRU although in the future they may inspire fear in others…..we are not magicians! And yes some of our PRU kids may go on to populate secure units or prisons….but many more will not!! Once a child’s needs are met they calm down, they achieve academically, and I can sincerely say we are jolly proud of them! Some of the turnarounds are truly remarkable! It’s about building relationships and instilling values….just read some of my other blogs!! No one in education should ever be saying that some children are beyond the pale. We need to eliminate that fear factor.